Part 1 of my detailed, fully referenced responses to their “analysis” of my op-ed are below. Part 2 to follow [here]. It is certainly true that the complex models developed by Amstrup and colleagues in 2007 used multiple aspects of sea ice called ‘optimum polar bear habitat,’ but when it came down to explaining the results, ‘summer’ was the term used in all the papers. Durner et al. (2007:10) state explicitly that “summer” was August and September and that the average length of this period was not predicted to change over the 21st century, making the extent for September (otherwise known as the summer minimum) a critical metric. Which means that in 2007, it was not the “duration” of the ice-free period in summer that was considered critical but the threshold of September extent. The use of “summer” ice extent (the September average) as a proxy for critical levels of optimal polar bear habitat is also evident in the Durner et al. (2009:44) Fig. 9 (shown above), which shows sea ice extent projections for summer to the end of the 21st century. This sea ice ecoregion map (Amstrup 2011:13) shows the Arctic Basin (in white, not labeled, around the North Pole) and includes broad population estimates per ecoregion (total 23,400) that differ from those used in Amstrup et al. (2007: Table 6; total 24,500). These examples show that average sea ice levels for September (also called ‘summer’) were used by the authors of the USGS reports as a proxy for optimal polar bear habitat at its lowest level, for both the baseline period and the future. Therefore, September ice extent is a valid proxy for evaluating the validity of the prediction that 2/3 of the world’s polar bears would disappear when sea ice consistently dropped to levels predicted for mid-century (i.e. 2045-2054). Off the top of my head, I count at least four polar bear specialist papers or reports that use global population estimates and/or subpopulation estimates in their assessments of present or modeled polar bear health and survival. See map above from Amstrup 2011, which includes population estimates for the four sea ice ecoregions used to assess polar bear health and survival in 2007, used to support the US Fish and Wildlife decision to classify polar bears as ‘threatened’ on the Endangered Species List in 2008. Amstrup et al. (2007: Table 6) used not only the global population total (24,500) but ecoregion totals in their model predicting polar bear surivival over the 21st century. Wiig et al. (2015) is the document supporting the 2015 IUCN Red List assessment for polar bears as ‘vulnerable’ to extinction and their Supplementary document (pdf here) included a table of the subpopulation estimates (Table 3, total 26,485) that were used in their model of predicted polar bear decline based on predicted habitat loss, with no mention that these were “contrived.” In fact, the IUCN insisted such estimates be used (see Minutes of the 17th meeting of the IUCN Polar Bear Specialist Group 2014: 16, pdf here). Regehr et al. 2016 is the peer-reviewed version of Wiig et al. 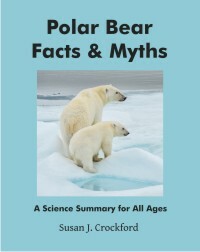 (2015) and the authors state in their introduction: “The global population of approximately 26 000 polar bears is divided into 19 subpopulations.” There is no mention that this number is “contrived” or otherwise considered unscientific. 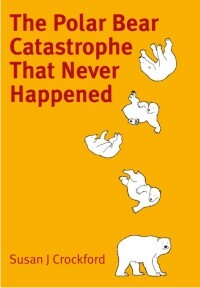 Have these researchers forgotten that the 1973 international treaty that spawned the formation of the IUCN Polar Bear Specialist Group (PBSG) was tasked not just with coordinating the research necessary for assessing polar bear health but with establishing a global population size (Anonymous 1968)? This estimate has a long history with the Polar Bear Specialist Group – we provided it so school children can put down a number in a report. That any scientist would use this for an assessment is embarrassing to themselves & their supporters (i.e., other climate change deniers). Trying to refute my critique of Amstrup et al.’s 2007 model with polar bear survival or sea ice predictions published later is a worthless, strawman ploy. Both Amstrup and Derocher pull this stunt but none of the papers they cite (i.e., Castro de la Guardia 2013; Amstrup et al. 2010; Regehr et al. 2016; Atwood et al. 2015) are relevant to my conclusion that the model developed by Amstrup et al. (2007) has been shown to have failed by recent observational evidence (Crockford 2017, 2018). Amstrup et al. (2007) and Durner et al. (2007) both use average sea ice levels for September (also called ‘summer’) as a proxy for optimal polar bear habitat at its lowest extent, which means it is valid to use that metric to access the veracity of the model. Finally, documents show that polar bear specialists use global and subpopulation estimates in scientific assessments when it suits them (e.g. Amstrup 2011; Amstrup et al. 2007; Regher et al. 2016; Wiig et al. 2015), and deny these estimates are scientifically valid when anyone else draws attention to the fact these numbers are increasing rather than decreasing as predicted. That’s spin, not science. Part 2 will address the other four quotes which Derocher and Amstrup addressed. Find it here. 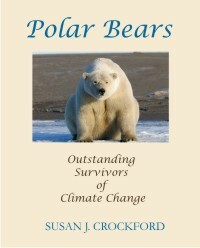 Footnote 1: Apparently, “Climate Feedback” claim critiques of my Financial Post op-ed from three polar bear specialists but they really only provide two. The third commenter gave only his overall opinion but clearly did not have the depth of knowledge about polar bears to comment in detail about the specific issues raised, which suggests he did not have the depth of knowledge to comment at all. Cody Dey is a post-doc researcher who finished his Ph.D. on another topic and is spending a year or so working on polar bears. I wonder if Climate Feedback simply did not bother to ask another, more knowledgeable polar bear specialist (like Ian Stirling, perhaps) for their opinion or if none were willing to respond? Footnote 2: Amstrup says the graph he provides is modified from “Atwood et al. 2015.” However, there appears to be only one publication that fits that citation (details provided below) and the sea ice graph it contains, on pg. 39, is an anomaly graph (showing amount of change, not absolute extent). Consequently, it does not look anything like the graph provided by Amstrup, even without the snarky labels. Castro de la Guardia, L., Derocher, A.E., Myers, P.G., Terwisscha van Scheltinga, A.D. and Lunn, N.J. 2013. Future sea ice conditions in western Hudson Bay and consequences for polar bears in the 21st century. Global Change Biology 19:2675-2687. This entry was posted in Conservation Status, Scientists hit back, Sea ice habitat, Summary and tagged Amstrup, critique, damage control, Derocher, endangered, ESA, fact checker, facts, feedback, polar bear, predictions, sea ice, spin, State of the Polar Bear, threatened, USGS. Bookmark the permalink.